Denise’s Hope You Can Cling To Challenge limited us to using one of each thing on our card. So I used one die cut, one piece of designer paper, one embossing folder, one ink color and one sentiment stamp. Not much to tell you about this one. 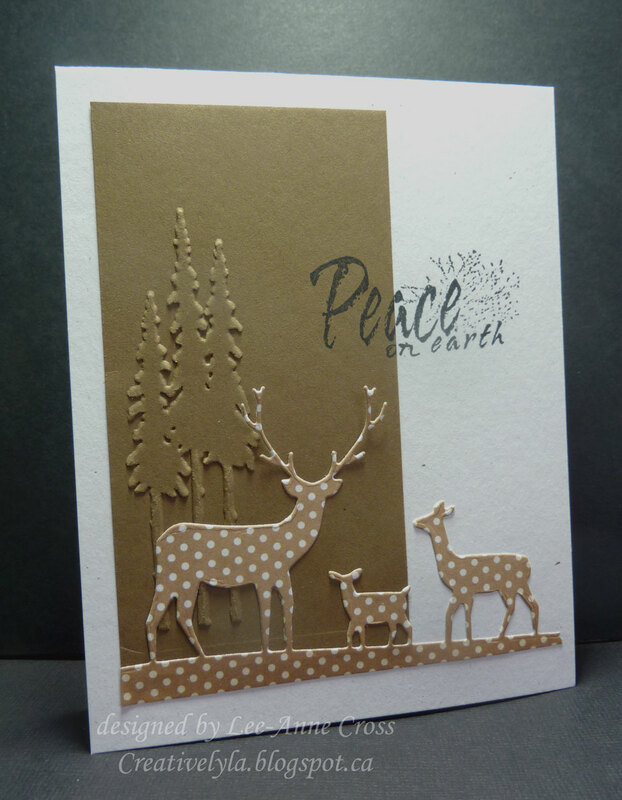 I embossed the trees with a Tim Holtz embossing folder, cut out the deer on some designer paper and stamped the sentiment. Back soon with more my dear friends! Those little polka dotted deer are fantastic! Made me smile! I left a comment on SCS but had to let you know again how gorgeous your card is.